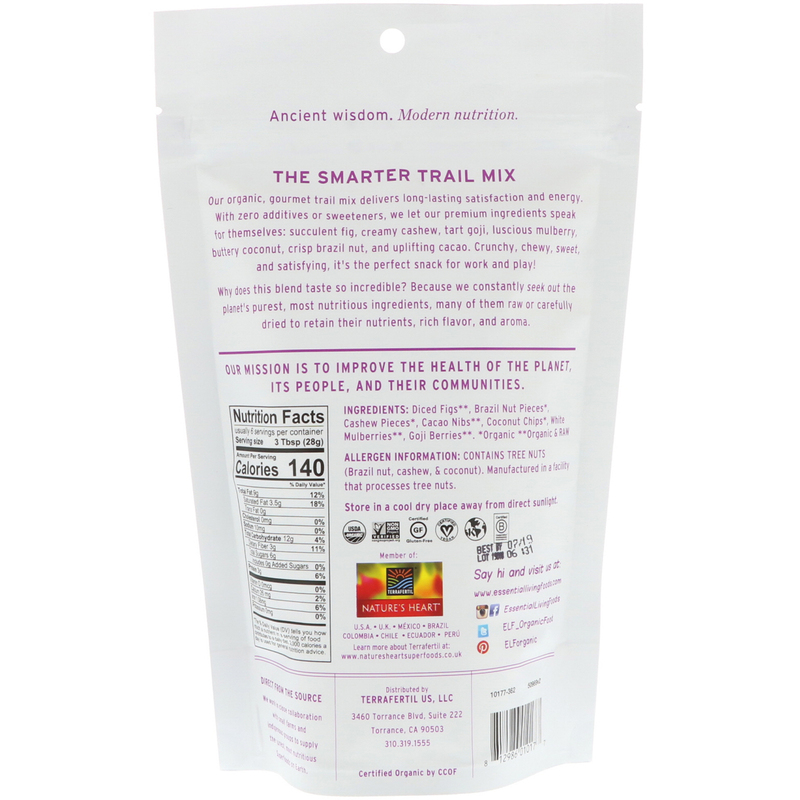 Our organic, gourmet trail mix delivers long-lasting satisfaction and energy. 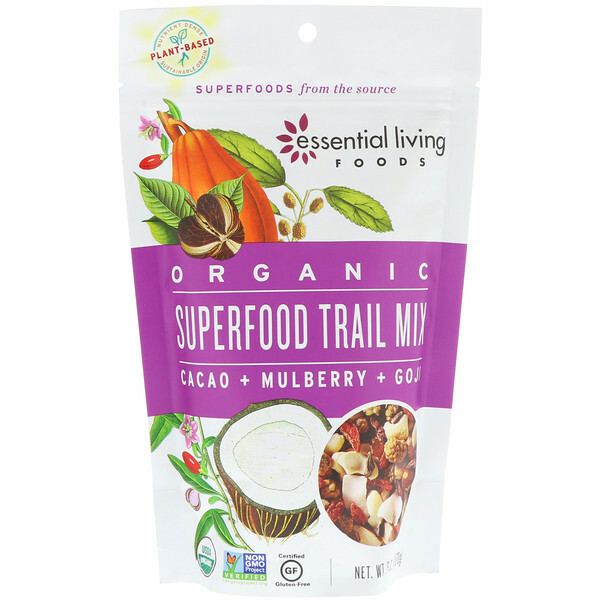 With zero additives or sweeteners, we let our premium ingredients speak for themselves: succulent Fig, creamy Cashew, tart Goji Berry, luscious Mulberry, buttery Coconut, crisp Brazil Nut, and uplifting Cacao. Crunchy, chewy, sweet, and satisfying, it's the perfect snack for work and play! Why does this blend taste so incredible? Because we constantly seek out the planet's purest, most nutritious ingredients, many of them raw or carefully dried to retain their nutrients, rich flavor, and aroma. Our Mission is to improve the health of the planet, its people, and their communities. We work in close collaboration with small farms and indigenous groups to supply the purest, most nutritious superfoods on earth. Allergen Information: Contains tree nuts (brazil nut, cashew, & coconut).